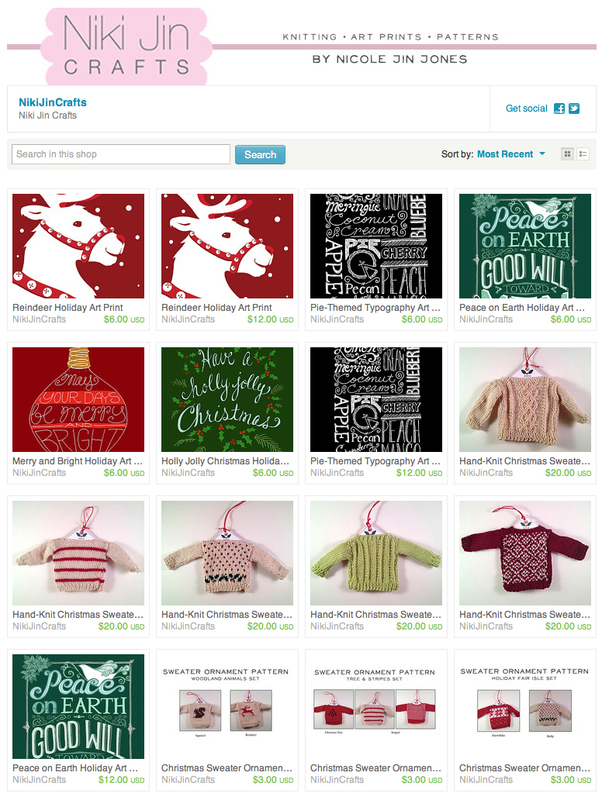 The Etsy Shop is Ready for the Holidays! I hope you all had a great Thanksgiving weekend with your family and friends. Now it's time for one of the great perks of Thanksgiving...leftovers! This past Saturday, I had a great time selling my prints and ornaments at the Keene Craft Show, but I still have some left. I've put the remainder of my inventory up in my Etsy shop. So if you didn't have a chance to come by the show and you are interested in a print, sweater ornament, or knitting pattern, head on over to Etsy (https://www.etsy.com/shop/NikiJinCrafts).